The Android beta program gives us a chance to see the latest features of Android, some of which don't actually work yet. That was the case when the first developer preview came out with an option to automatically switch WiFi on when you get near a trusted network. The toggle was non-functional in the first dev preview, but it works in DP2. This option is available in Network and internet > WiFi > WiFi Preferences. The toggle is right there at the top: "Turn on WiFi Automatically." 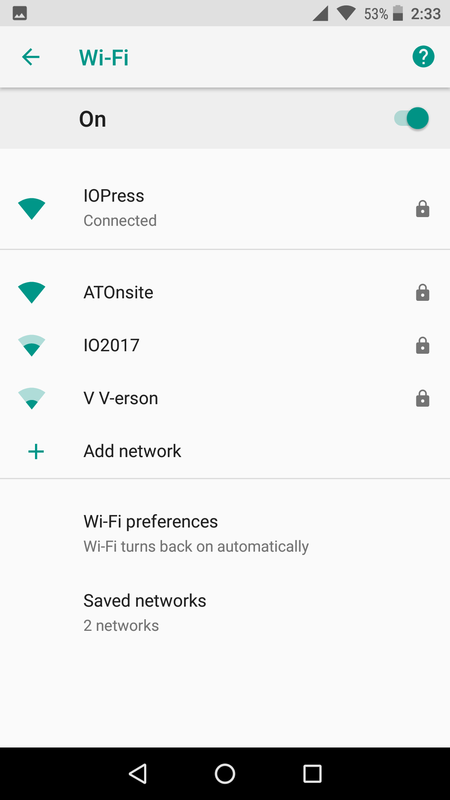 So, you can turn WiFi off in Android O, and this feature turns it back on based on your location. After all, Google knows where your phone is, and it knows where WiFi networks you use are. The toggle was grayed out in DP1, but now it's available and works. I turned this on, shut off WiFi and walked around I/O. When I got back to the area with the press WiFi network, the phone re-enabled WiFi to connect. The phone even notes on the WiFi screen (above) that your WiFi can turn back on automatically.